Prepare to do the job. Then clean up when you’re done. Did this give me all the details I needed to do the job? No. But it did provide some clear steps to guide me. And that’s what I see as my mission with this blog. I like to provide some simple steps to help you move in the right direction. Of course there’ll be some gaps between the steps, but that’s OK. They’ll get filled as you apply what you’re learning and gain more experience. For this week’s post I decided to review all of the posts where I provided three steps to do something. You’ll find them below with a summary (and of course loosely organized in three groups). 3 Things You Can Only Learn from a Real E-Learning Expert: Learn to work with subject matter experts and the tech-savvy millennials; and get a definitive explanation of how to finally spell e-learning eLearning elearning leearning. Three Things I Learned About Learning on My Deathbed: Motivated learners will learn. It’s all a matter of being prepared to try. Three Practical Ideas for Using Twitter in E-Learning: Social media tools are all the rage, but what’s their role in elearning? 3 Creative Ways to Empower Your Learners: Want your learners to learn? Give them something to do. 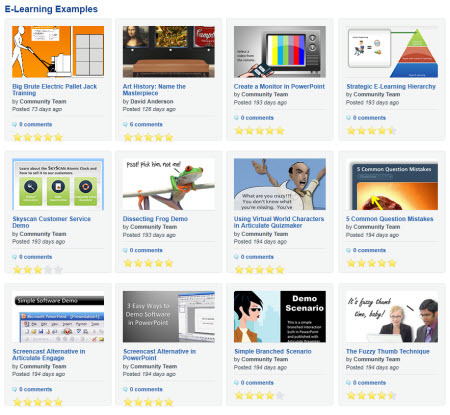 3 More Free Tools to Help Build Better E-Learning Courses: We’re all on a budget. Here are three free applications that may help you build elearning courses. Three Sure-Fire Tips to Build Better E-Learning Courses: Here’s an overview of some key decisions we made pulling together a rapid elearning course in just a few days. Save Time with These 3 Rapid E-Learning Tips: You’ll only save time and make your job easier with these three PowerPoint elearning tips. Three Time-Saving Rapid E-Learning Tips: Three more production tips that will save you time. You can also download a PowerPoint template. 3 Simple Ways to Measure the Success of Your E-Learning: Everyone’s yacking about ROI, but here are three practical tips to wow your boss and co-workers. These 3 Tips Can Change Your Compliance E-Learning Forever: Compliance training’s probably one of those things that will make eyes roll. But these tips can help you overcome that challenge. The 3 Essential Questions Every Learner Wants Answered: Are you wasting your learner’s time? Answers to these three questions may help you avoid that. 3 Proven Techniques to Add Creativity to Your E-Learning Courses: Here are some ideas to engage and motivate those who take your elearning courses. 3 Things to Consider When Building Your E-Learning Courses: Instructional design should be intentional. What are you doing to build the best courses possible? 3 Ways to Define Interactive Rapid E-Learning: Are your courses engaging and interactive? It’s not as hard as you may think. 3 Graphic Design Principles for Instructional Design Success: Instructional design involves creating flow and movement through the course content. Here are some tips to learn how. 3 Simple Techniques to Guide Your Learner’s Attention: You can capture your learner’s attention with these three ideas. How’s that for an explanation? Build Branched E-Learning Scenarios in Three Simple Steps: Interactive elearning starts with providing the learner a challenge. And then offer some choices that produce consequences. 3 Simple Steps to Create Background Images for Your Next E-Learning Scenario: So you’re ready to build your first interactive scenario, but you’re not quite sure what it should look like. Learn to create the backgrounds for your elearning courses. 3 Brainstorm Ideas for Your Next E-Learning Course: Stuck on what to do with your next course. Here are three ideas to help you get started. 3 Ways to Build Remarkable E-Learning: Are your courses something people are talking about? These ideas will help you build courses that are noteworthy. Your E-Learning Graphics Sizzle: Simple tips to turn your basic graphics into something more dynamic. 3 Easy Ways to Create Silhouette Characters: Stuck with clip art and boring pictures? Get more life out of your graphic assets by converting them to silhouettes. 3 Simple Ways to Find the Resources You Need to Build E-Learning Courses: Here’s a list of resources that are free and easy to find. So there you have it. Seventy rapid elearning tips that will help you get started, save time, and find the resources you need to build better elearning. What three tips do you have? WOW! Practical, Fun, Creative. Thanks so much, Tom !!!!! I really appreciate all your suggestions. I come back to them over and over. But your articles on graphics and design have been tremendously helpful. Thanks! I have learnt more practical techniques from Tom than any other eLearning source. I like things clear a short. And that is exactly what I found here. I will write the steps down and try to keep them and I will see how well it works for me. Thank you. Wow! This was like an information repository.It was simple, precise and a great technique to build e learning courses. talk about a fantastic link parade! 1. I have been reading your blog for ages, and this introduced me to topics I missed. 2. 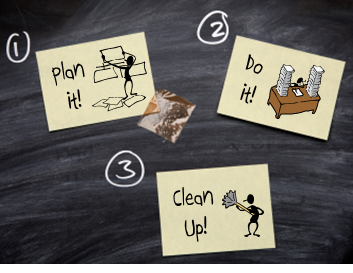 I had known, but not really paid attention to the fact, that an action plan with just three steps becomes more doable. 3. As a result of #2 I will break down and integrate more of these simplified action plans into my learning and writing. For so many things, thank you Tom. 1) Join a local e-learning or graphic design network. Great source to bounce ideas or learn what people are doing. 2) Get in the conversation and seek different perspectives (blogs, books, etc.). 3) Look at broad industries, professions, or outlets for inspiration – use of colors in magazines, use of humor in story telling (a Ted Talk maybe? ), or even how a movie trailer builds suspense. My threes tips have nothing to do with development or project management, more to do with broadening the creative juices I guess.